That which you give as riba to increase the peoples' wealth increases not with God; but that which you give in charity, seeking the goodwill of God, multiplies manifold. (30:39). And for their taking riba even though it was forbidden for them, and their wrongful appropriation of other peoples' property, We have prepared for those among them who reject faith a grievous punishment. (4:161). O believers, take not doubled and redoubled riba, and fear God so that you may prosper. Fear the fire which has been prepared for those who reject faith, and obey God and the Prophet so that you may receive mercy. (3:130-2). Those who benefit from riba shall be raised like those who have been driven to madness by the touch of the Devil; this is because they say: "Trade is like riba" while God has permitted trade and forbidden riba. Hence those who have received the admonition from their Lord and desist, may have what has already passed, their case being entrusted to God; but those who revert shall be the inhabitants of the fire and abide therein for ever. (275). God deprives riba of all blessing but blesses charity; He loves not the ungrateful sinner. (276). Those who beleive, perform good deeds, establish prayer and pay the zakat, their reward is with their Lord; neither should they have nay fear, nor shall they grieve. (277). If you do not do so, then be sure of being at war with God and His Messenger. But, if you repent, you can have your principal. Neither should you commit injustice nor should you be subjected to it. (279). If the debtor is in difficulty, let him have respite until it is easier, but if you forego out of charity, it is better for you if you realise. (280). And fear the Day when you shall be returned to the Lord and every soul shall be paid in full what it has earned and no one shall be wronged. (281). 1. From Jabir: The Prophet, may peace be on him, cursed the receiver and the payer of riba, the one who records it and the two witnesses to the transaction and said: "They are all alike [in guilt]." (Muslim, Kitab al-Musaqat, Bab la'ni akili al-riba wa mu'kilihi; also in Tirmidhi and Musnad Ahmad). 2. Jabir ibn 'Abdallah, giving a report on the Prophet's Farewell Pilgirmage, said: The Prophet, peace be on him, addressed the people and said "All of the riba of Jahiliyyah is annulled. The first riba that I annul is our riba, that accruing to 'Abbas ibn 'Abd al-Muttalib [the Prophet's uncle]; it is being cancelled completely." (Muslim, Kitab al Hajj, Bab Hajjati al-Nabi, may peace be on him; also in Musnad Ahmad). 3. From 'Abdallah ibn Hanzalah: The Prophet, peace be on him, said: "A dirham of riba which a man receives knowingly is worse than committing adultery thirty-six times" (Mishkat al-Masabih, Kittab al-Buyu', Bab al-riba, on the authority of Ahmad and Daraqutni). Bayhaqi has also reported the above hadith in Shu'ab al-iman with the addition that "Hell befits him whose flesh has been nourished by the unlawful" (ibid). 4. From Abu Hurayrah: The Prophet, peace be on him, said: "On the night of Ascension I came upon people whose stomachs were like houses with snakes visible from the outside. I asked Gabriel who they were. He replied that they were people who had received riba." (Ibn Majah, Kitab al-Tijarat, Bab al-taghlizi fi al-riba; also in Musnad Ahmad). 5. From Abu Hurayrah: The Prophet, peace be on him, said: "Riba has seventy segments, the least serious being equivalent to a man committing adultery with his own mother." (Ibn Majah, ibid). 6. From Abu Hurayrah: The Prophet, peace be on him, said: "There will certainly come a time for mankind when everyone will take riba and if he does not do so, its dust will reach him." (Abu Dawud, Kitab al Buyu, Bab fi ijtinabi al shubuhat; also in Ibn Majah). 7. From Abu Hurayrah: The Prophet, peace be on him, said: "God would be justified in not allowing four persons to enter paradise or to taste its blessings: he who drinks habitually, he who takes riba, he who usurps an orphan's property without right and he who is undutiful to his parents." (Mustadrak al Hakim, Kitab al-Buyu). 1. From Usamah ibn Zayd: The Prophet, peace be on him, said: "There is no riba except in nasi'ah [waiting]." (Bukhari, Kitab al-Buyu, Bab Bay al-dinari bi al-dinar nasa'an; also Muslim and Musnad Ahmad) "There is no riba in hand-to-hand [spot] transactions." (Muslim, Kitab al-Musaqat, Bab bay'i al-ta'ami mithlan bi mithlin; also in Nasa'i). 2. 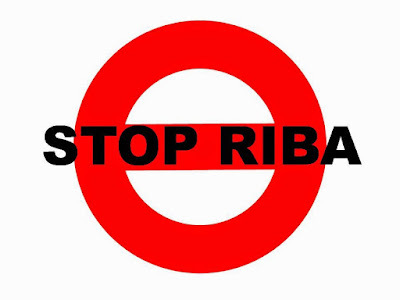 From Ibn Mas'ud: The Prophet, peace be on him, said: "Even when riba is much, it is bound to end up into paltriness." (Ibn Majah, Kitab al-Tijarat, Bab al-taghlizi fi al-riba; also in Musnad Ahmad). 3. From Anas ibn Malik: The Prophet, peace be on him, said: "When one of you grants a loan [of money] and the borrower offers him a dish, he should not accept it; and if the borrower offers a ride on an animal, he should not ride, unless the two of them have been previously accustomed to exchanging such favours mutually." (Sunan al-Bayhaqi, Kitab al-Buyu, Bab kulli qardin jarra manfa'atan fa huwa riban). 4. From Anas ibn Malik: The Prophet, peace be on him, said: "If a man extends a loan to someone he should not accept a gift." (Mishkat, op. cit., on the authority of Bukhari's Tarikh and Ibn Taymiyyah's al-Muntaqa). 5. From Abu Burdah ibn Abi Musa: I came to Madinah and met 'Abdallah ibn Salam who said, "You live in a country where riba is rampant; hence if anyone owes you something and presents you with a load of hay, or a load of barley, or a rope of straw, do not accept it for it is riba." (Mishkat, op. cit., reported on the authority of Bukhari). 6. Fadalah ibn "ubayd said that "The benefit derived from any loan is one of the different aspects of riba." (Sunan al-Bayhaqi, op. cit.). This hadith is mawquf implying that it is not necessarily from the Prophet; it could be an explanation provided by Fadalah himself, a companion of the Prophet, peace be on him. 1. From 'Umar ibn al-Khattab: The last verse to be revelaed was on riba and the Prophet, peace be on him, was taken without explaining it to us; so give up not only riba but also ribah [whatever raises doubts in the mind about its rightfulness]. (Ibn Majah. op. cit.). 2. From Abu Said al-Khudri: The Prophet, peace be on him, said: "Do not sell gold for gold except when it is like for like, and do not increase one over the other; do not sell silver for silver except when it is like for like, and do not increase one over the other; and do not sell what is away [from among these] for what is ready." (Bukhari, Kitab al-Buyu, Bab bay i al-fiddati bi al-fiddah; also Muslim, Tirmidhi, Nsai i and Musnad Ahmad). 3. From 'Ubada ibn al-Samit: The Prophet, peace be on him, said: "Gold for gold, silver for silver, wheat for wheat, barley for barley dates for dates, and salt for salt - like for like, equal for equal, and hand-to-hand; if the commodities differ, then you may sell as you wish, provided that the exchange is hand-to-hand." (Muslim, Kitab al-Musaqat, Bab al-sarfi wa bay'i al-dhahabi bi al-waraqi naqdan; also in Tirmidhi). 4. From Abu Sa'id al-khudri: The Prophet, peace be on him, said: "Gold for gold, silver for silver, wheat for wheat, barley for barley, dates for dates, and salt for salt - like for like, and hand-to-hand. Whoever pays more or takes more has indulged in riba. The taker and the giver are alike [in guilt]." (Muslim, ibid; and Musnad Ahmad). 5. From Abu Sa'id and Abu Hurayrah: A man employed by the Prophet, peace be on him, in Khaybar brought for him janib [dates of very fine quality]. Upon the Prophet's asking him whether all the dates of Khaybar were such, the man replied that this was not the case and added that "they exchanged a sa [a measure] of this kind for two or three [of the other kind]". The Prophet, peace be on him, replied, "Do not do so. Sell [the lower quality dates] for dirhams and then use the dirhams to buy janib. [When dates are exchanged against dates] they should be equal in weight." (Bukhari, Kitab al-Buyu, Bab idha arada bay'a tamrin bi tamrin khayrun minhu; also Muslim and Nasa'i). 6. From Abu Sa'id: Bilal brought to the Prophet, peace be on him, some barni [good quality] dates whereupon the Prophet asked him where these were from. Bilal replied, "I had some inferior dates which I exchanged for these - two sas for a sa." The Prophet said, "Oh no, this is exactly riba. Do not do so, but when you wish to buy, sell the inferior dates against something [cash] and then buy the better dates with the price you receive." (Muslim, Kitab al-Musaqat, Bab al-ta'ami mithlan bi mithlin; also Musnad Ahmad). 7. From Fadalh ibn 'Ubayd al-Ansari: On the day of Khaybar he bought a necklace of gold and pearls for twelve dinars. On separating the two, he found that the gold itself was to more than twelve dinars. So he mentioned this to the Prophet, peace be on him, who replied, "It [jewellery} must not be sold until the contents have been valued separately." (Muslim, Kitab al-Musaqat, Bab bay'i al-qiladah fiha kharazun wa dhahab; also in Tirmidhi and Nasa'i). 8. From Abu Umamah: The Prophet, peace be on him, said: "Whoever makes a recommendation for his brother and accepts a gift offered by him has entered riba through one of its large gates." (Bulugh al-Maram, Kitab al-Buyu, Bab al-riba, reported on the authority of Ahmad and Abu Dawud). 9. From Anas ibn Malik: The Prophet, peace be on him, said: "Deceiving a mustarsal [an unknowing entrant into the market] is riba." (Suyuti, al-Jami' al-Saghir, under the word ghabn; Kanz al-'Ummal, Kitab al Buyu, al-Bab al-thani, al-fasi al-thani, on the authority of Sunan al-Bayhaqi). 10. From 'Abdallah ibn Abi Awfa: The Prophet, peace be on him, said: "A najish [one who serves as an agent to bid up the price in an auction] is a cursed taker of riba." (Cited by Ibn Hajar al-Asqalani in his commentary on al-Bukhari Suyuti, al-Jami al-Saghir, under the word al-najish and Kanz al-'Ummal, op. cit., both on the authority of Tabarani's al-Kabir). 'Abd al-Rahman al-Jaziri's al-Fiqh 'ala al-Madhahib al-Arba'ah, is a compendium on the juristic opinions of the four predominant schools of Muslim jurisprudence. It is held in high esteem and considered to be an authority on the subject. Given below are some relevant excerpts from this book on the subject of riba. However, in fiqh terminology, riba means an increase in one of two homogeneous equivalents being exchanged without this increase being accompanied by a return. It is classified into two categories. First, riba al-nasi'ah where the specified increase is in return for postponement of, or waiting for, the payment; for example, buying an irdab (a specific measure) of wheat in winter against an irdab and a half of wheat to be paid in summer. As the half irdab which has been added to the price was not accompanied by an equivalent value in the commodity soled and was merely in return for the waiting, it is called riba al-nasi'ah. The second category is riba al-fadl, which means that the increase mentioned is irrespective of the postponement and is not offset by something in return. This happens when an irdab of wheat is exchanged hand to hand for an irdab and a kilah (another measure) of its own counterpart, the buyer and the seller both taking reciprocal possession; or when ten carats of gold produce are exchanged for twelve carats of similar gold produce. There is no difference among Muslim jurists about the prohibition of riba al-nasi'ah. It is indisputably one of the major sins. This is established by the Book of God, the Sunnah of His Prophet, and the consensus of the ummah. The Qur'an says:... (Verses 2: 275-9). This is the Book of God which has prohibited riba vehemently and has reprimanded the taker so severely that it makes those who believe in their Lord and dread His punishment tremble with fear. Can any reprimand be harsher than God equating the takers of riba with those who have risen in revolt against Him and are at war with Him and His Prophet? What will be the state of that feeble human being who fights with the Almighty and Overpowering God, Whom nothing on earth or in the Heaven can frustrate. There is no doubt that by resorting to riba such a person has adopted the course of self-destruction and deprivation. Riba al-Fadl...is prohibited according to the four schools of jurisprudence. But some of the Prophet's companions, among them Sayyid 'Abdallah ibn 'Abbas (may God be pleased with him), allowed it. Nevertheless, it is reported that he recanted his opinion afterwards and talked abouts its prohibition. Riba al-Fadl does not have substantial effect on transactions because of the rarity of its occurrence; it is not the objective of people to buy or sell one thing in exchange for the same thing unless there is something extra from which each of the parties may benefit. Notwithstanding this, it has been prohibited because it might lead to the defrauding or deception of less sophisticated persons. For example, a shrewd trader may claim that the irdab of a specific brand of wheat is equivalent to three irdabs of the other kind because of the excellence of its quality, or this unique piece of gold ornament is equivalent in value to twice its weight in gold; in such transactions there undoubtedly is defrauding of people and harm to them. Gold for gold, silver for silver, wheat for wheat, barley for barley, dates for dates, and salt for salt - like for like, equal for equal, and hand-to hand; if the commodities differ, then you may sell as you wish, provided that the exchange is hand-to-hand. This hadith indicates that it is neither proper to sell these homogeneous commodities against themselves with addition nor is it proper to delay the reciprocal taking of possession. Hence it is not proper to sell a gold guinea against a gold guinea and ten qurush, neither on a hand-to-hand, nor on a deferred basis, just as it is not right to sell a gold bar weighing ten carats against a gold bar weighing twelve carats. Similar is the case with wheat and barley and other items mentioned in the hadith. And if such is the case, then does riba enter into every commodity or is it confined to just the commodities mentioned in the hadith, namely, gold silver, wheat, barley, dates and salt? There is no difference of opinion among the four schools of jurisprudence that analogically riba enters into other commodities not mentioned in the hadith. If there is any difference it is in the analogy ('illat) used to arrive at the conclusion that the 'addition" [riba al-fadl] is prohibited for all commodities wherever the analogy holds. Only the Zahiriyyah (a juristic school which was opposed to analogical reasoning) confined riba al-fadl to only the commodities specified in the hadith. ('Abd al-Rahman al-Jaziri, al-Fiqh "Ala al-Madhahib al-Arba'ah, Cairo: Al-Maktabah al-Tijariyyah al-Kubra, 5th ed., n.d., vol. 2, pp. 245-8). Even though the above except is sufficient to convey the views of the four schools of jurisprudence, the reader may wish to go through the following sample of opinions from prominent Qur'an commentators and/or jurists of the various schools, particularly the Ja'fari school, which is not covered in the above-quoted book. It may be seen that there is hardly any difference of opinion on the subject except in presentation and in certain minor details. Riba is of two kinds: Riba al-nasi'ah and riba al-fadl. Riba al-nasi'ah is what was well known and conventional among the Arabs in Jahiliyyah. They used to give loans on the condition that every month they will receive a stipulated amount with the whole principal remaining outstanding. Then, when the loan matured and the borrower was unable to clear his obligation, the amount was raised and the period was extended. This is the riba that was practised in the Jahiliyyah. Riba al-naqd [al-fadl] is, however, the selling of one maund [a unit of weight] of wheat, or anything similar to it, against two maunds. (Al-Tafsir al-Kabir, Tehran: Dar al-Kutub al-'illmiyyah, 2nd ed., n.d., wol. 7, p. 85). 3. Abu Bakr al-Jassas (Qur'an commentator and Hanafi jurist). The literal meaning of riba is increase...but in the Shari'ah it has acquired a connotation that its literal meaning does not convey. The Prophet, peace be on him, termed the increase, [which is a condition] for waiting, as riba as is evident from the hadith narrated by Usamah ibn Zayd in which the Prophet said: "Riba is in waiting..." Hence God abolished the riba which was being practised at that time. He also invalidated some other trade transactions and called them riba. Accordingly, the Qur'anic verse "God has prohibited riba" covers all transactions to which the connotation applies in the Shari'ah even though the indulgence of the Arabs in riba, as mentioned above, related to loans in dirhams and dinars for a specified period with the increase as a condition. The term riba hence signifies different meanings. One is the riba prevalent in Jahiliyyah; the second is the disparity or differential (tafadul) in the volume or weight of a commodity [in spot transactions]...; and the third is postponing (al-nasa); this implies that it is not permitted to sell a commodity against future delivery of the same volume, weight or other measure of the given commodity. (Ahkam al-Qur'an, Cairo: Al-Matba'ah al-Bahiyyah al-Misriyyah, 1347 AH, vol. 1, pp. 551-2). 4. Muhammad ibn 'Abdallah ibn al-Arabi (Qur'an commentator and Maliki jurist). Riba literally means increase, and in the Qur'anic verse (2:275) it stands for every increase not justified by the return... (Ahkam al-Qur'an, Cairo: 'Isa al-Babi al-Halabi, 1957, p. 242). It may be clarified here that the 'waiting' involved in a loan is not considered by the jurists to be a return justifying the increase (riba) on the principal amount. Riba is of two kinds: Jali and Khafi. The Jali has been prohibited because of the great harm it carries and the Khafi has been prohibited because it is an instrument for the Jali. Hence prohibition of the former is deliberate while that of the latter is precautionary. However, riba al-fadl has been prohibited to close the access to riba al-nasi'ah. (A'lam al-Muwaqqi'in, Cairo: Maktabah al-Kulliyyat al-Azhariyyah, 1968, vol. 2, pp. 154-5). Remember that riba is of two kinds: One is primary (haqiqi), the other is subject to it. Primary riba is only on loans. The other riba is called riba al-fadl...and is akin to primary riba. (Hujjat Allah al-Balighah, Lahore: Qawmi Kutub Khana, 1953, tr. Mawlana Abdul Rahim, vol. 2, pp. 474-5). Riba is of two kinds: riba al-fadl and riba al-nasi'ah. The prohibition of riba al-fadl involves the exchange of one commodity against itself and covers all commodities which are exchanged by volume or by weight regardless of whether the quantity exchanged is small, like one date for two dates or one grain for two grains...(p. 64). Riba al-nasi'ah is involved in the exchange of two commodities one of which is not the price. (p. 73) (Al-Muqni', Qatar: Matabi' Qatar al-Wataniyyah, 1973, vol. 2, pp. 64-77). 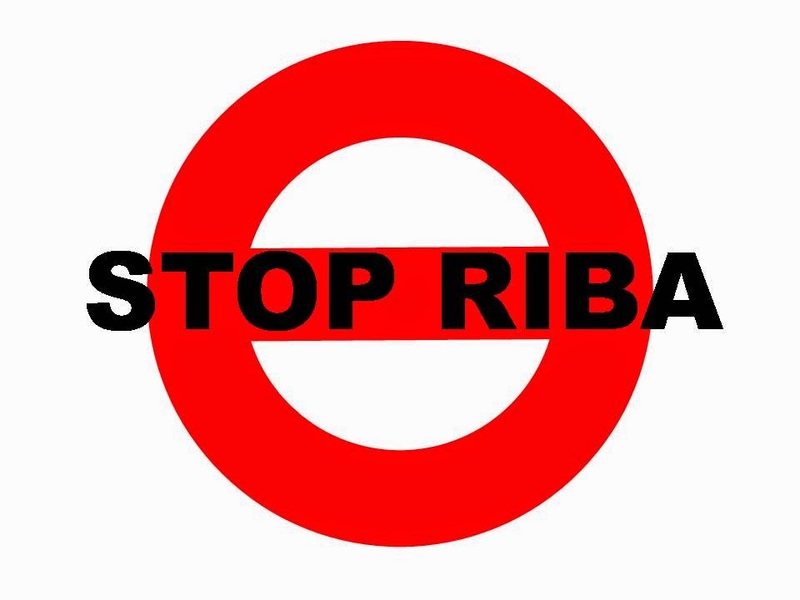 Riba literally means increase and, technically, it refers to the increase in the exchange of two commodities, one against its own kind...Riba is of two kinds: Riba al-fadl and Riba al-nasi'ah and the jurists are agreed on their prohibition. (Tadhkirah al-Fuqaha', Najaf: Matba'ah al-Najaf, 1955, vol. 7, p. 84).